We present the results of performance modeling of diode-pumped solid state laser beamlines designed for use in Laser Inertial Fusion Energy (LIFE) power plants. Our modeling quantifies the efficiency increases that can be obtained by increasing peak diode power and reducing pump-pulse duration, to reduce decay losses. At the same efficiency, beamlines that use laser slabs of Yb:YAG or Yb:S-FAP require lower diode power than beamlines that use laser slabs of Nd:phosphate glass, since Yb:YAG and Yb:S-FAP have longer storage lifetimes. Beamlines using Yb:YAG attain their highest efficiency at a temperature of about 200K. Beamlines using Nd:phosphate glass or Yb:S-FAP attain high efficiency at or near room temperature. E. I. Moses, “The National Ignition Facility (NIF): A path to fusion energy,” Energy Convers. Manage. 49(7), 1795–1802 (2008). M. Dunne, E. I. Moses, P. Amendt, T. Anklam, A. Bayramian, E. Bliss, B. Debs, R. Deri, T. D. De La Rubia, B. El-Dasher, J. C. Farmer, D. Flowers, K. J. Kramer, L. Lagin, J. F. Latkowski, J. Lindl, W. Meier, R. Miles, G. A. Moses, S. Reyes, V. Roberts, R. Sawicki, M. Spaeth, and E. Storm, “Timely delivery of laser inertial fusion energy (LIFE),” Fusion Sci. Technol. 60, 19–27 (2011). M. Dunne, N. Alexander, F. Amiranoff, P. Aguer, S. Atzeni, H. Azechi, V. Bagnoud, P. Balcou, J. Badziak, D. Batani, C. Bellei, D. Besnard, R. Bingham, J. Breil, M. Borghesi, S. Borneis, A. Caruso, J. C. Chanteloup, R. J. Clarke, J. L. Collier, J. R. Davies, J.-P. Dufour, P. Estraillier, R. G. Evans, M. Fajardo, R. Fedosejevs, G. Figueria, J. Fils, J. L. Feugeas, M. Galimberti, J.-C. Gauthier, A. Giulietti, L. A. Gizzi, D. Goodin, G. Gregori, S. Gus’kov, L. Hallo, C. Hernandez-Gomez, D. Hoffman, J. Honrubia, S. Jacquemot, M. Key, J. Kilkenny, R. Kingham, M. Koenig, F. Kovacs, K. Krushelnic, C. Labaune, K. Lancaster, C. Leblanc, P. H. Maire, W. Martin, A. McEvoy, P. McKenna, J. T. Mendonça, J. Meyer-ter-Vehn, K. Mima, G. Mourou, S. Moustaizis, Z. Najmudin, P. Nickles, D. Neely, P. Norreys, M. Olazabal, A. Offenberger, N. Papadogianis, J.-P. Perin, J. M. Perlado, J. Ramirez, R. Ramis, Y. Rhee, X. Ribeyre, A. Robinson, K. Rohlena, S. J. Rose, M. Roth, C. Rouyer, C. Rulliere, B. Rus, W. Sandner, A. Schiavi, G. Schurtz, A. Sergeev, M. Sherlock, L. Silva, R. A. Smith, G. Sorasio, C. Strangio, H. Takabe, M. Tatarakis, V. Tikhonchuk, M. Tolley, M. Vaselli, P. Velarde, T. Winstone, K. Witte, J. Wolowski, N. Woolsey, B. Wyborn, M. Zepf, and J. Zhang, “HiPER – technical background and conceptual design report” (HiPER Project, 2011). http://www.hiper-laser.org/docs/tdr/HiPERTDR2.pdf . T. Norimatsu, Y. Kozaki, N. Miyanaga, J. Kawanaka, H. Azechi, T. Johzaki, and K. Tomabechi, “Conceptual design of laser fusion reactor KOYO-F based on fast ignition scheme,” in Proceedings of the 21st IAEA Conference (International Atomic Energy Agency, 2008), paper FT/P5–39. http://www-pub.iaea.org/MTCD/Meetings/FEC2006/ft_p5-39.pdf . J. Kawanaka, N. Miyanaga, T. Kawashima, K. Tsubakimoto, Y. Fujimoto, H. Kubomura, S. Matsuoka, T. Ikegawa, Y. Suzuki, N. Tsuchiya, T. Jitsuno, H. Furukawa, T. Kanabe, H. Fujita, K. Yoshida, H. Nakano, J. Nishimae, and M. NakatsukaK. Ueda and K. Tomabechi, “New concept for laser fusion energy driver by using cryogenically-cooled Yb:YAG ceramic,” J. Phys. : Conf. Ser. 112, (2008), doi:. C. D. Orth, S. A. Payne, and W. F. Krupke, “A diode pumped solid state laser driver for inertial fusion energy,” Nucl. Fusion 36(1), 75–116 (1996). H. Matsui, T. Eguchi, T. Kanabe, M. Yamanaka, M. Nakatsuka, Y. Izawa, and S. Nakai, “Conceptual design of a laser diode-pumped Nd:glass slab laser driver for inertial fusion energy,” Fusion Eng. Des. 44(1-4), 401–405 (1999). T. M. Anklam, A. M. Dunne, W. R. Meier, S. Powers, and A. J. Simon, “LIFE: the case for early commercialization of fusion energy,” Fusion Sci. Technol. 60, 66–71 (2011). J. F. Latkowski, R. P. Abbott, S. Aceves, T. M. Anklam, A. W. Cook, J. DeMuth, L. Divol, B. El-Dasher, J. C. Farmer, D. Flowers, M. Fratoni, T. Heltemes, J. Kane, K. J. Kramer, R. Kramer, A. Lafuente, G. A. Loosmore, K. R. Morris, G. A. Moses, B. Olson, C. Pantano, S. Reyes, M. Rhodes, R. Sawicki, H. Scott, M. Tabak, and S. Wilks, “Chamber design for LIFE,” Fusion Sci.Technol. 60, 54–60 (2011). A. Bayramian, S. Aceves, T. Anklam, K. Baker, E. Bliss, C. Boley, A. Bullington, J. Caird, D. Chen, R. Deri, M. Dunne, A. Erlandson, D. Flowers, M. Henesian, J. Latkowski, K. Manes, W. Molander, E. Moses, T. Piggott, S. Powers, S. Rana, S. Rodriguez, R. Sawicki, K. Schaffers, L. Seppala, M. Spaeth, S. Sutton, and S. Telford, “Compact, efficient laser systems required for laser inertial fusion energy,” Fusion Sci. Technol. 60, 28–48 (2011). Data sheet for APG-1 laser glass, (Schott North America, Inc., 2011). 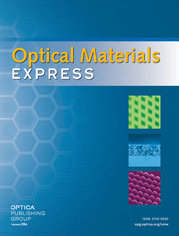 http://www.schott.com/advanced_optics/english/download/catalogs.html . J. H. Campbell, J. S. Hayden, and A. Marker, “High-power solid-state lasers: a laser glass perspective,” Int. J. Appl. Glass Sci. 2(1), 3–29 (2011). L. D. DeLoach, S. A. Payne, L. K. Smith, W. L. Kway, and W. F. Krupke, “Laser and spectroscopic properties of Sr5(PO4)3F:Yb,” J. Opt. Soc. Am. B 11(2), 269–276 (1994). A. J. Bayramian, “Development of trivalent ytterbium doped fluorapatites for diode-pumped laser applications,” doctoral thesis, University of California at Davis, UCRL-LR-139215, (June 21, 2000). A. Ikesue, T. Kinoshita, K. Kamata, and K. Yoshida, “Fabrication and optical properties of high-performance polycrystalline Nd:YAG ceramics for solid-state lasers,” J. Am. Ceram. Soc. 78(4), 1033–1040 (1995). A. Ikesue, Y. L. Aung, T. Yoda, S. Nakayama, and T. Kamimura, “Fabrication and laser performance of polycrystal and single crystal Nd:YAG by advanced ceramic processing,” Opt. Mater. 29(10), 1289–1294 (2007). S. A. Payne, L. D. DeLoach, L. K. Smith, W. L. Kway, J. B. Tassano, W. F. Krupke, B. H. T. Chai, and G. Loutts, “Ytterbium-doped apatite-structure crystals: a new class of laser materials,” J. Appl. Phys. 76(1), 497–503 (1994). K. Schaffers, A. J. Bayramian, J. A. Menapace, G. T. Rogowski, T. F. Soules, C. A. Stolz, S. B. Sutton, J. B. Tassano, P. A. Thelin, C. A. Ebbers, J. A. Caird, C. P. J. Barty, M. A. Randies, C. Porter, Y. Fei, and B. H. T. Chai, “Advanced material development for inertial fusion energy (IFE),” in Crystal Growth Technology, P. Capper and P. Rudolph, eds. (Wiley-VCH Verlag, 2010). K. I. Schaffers, J. B. Tassano, A. B. Bayramian, and R. C. Morris, “Growth of Yb: S-FAP [Yb3+: Sr5(PO4)3F] crystals for the mercury laser,” J. Cryst. Growth 253(1-4), 297–306 (2003), doi: , http://apex.jsap.jp/link?APEX/4/022703/ . J. Akiyama, Y. Sato, and T. Taira, “Laser demonstration of diode-pumped Nd3+-doped fluorapatite anisotropic ceramics,” Appl. Phys. Express 4(2), 022703 (2011). J. T. Hunt, J. A. Glaze, W. W. Simmons, and P. A. Renard, “Suppression of self-focusing through low-pass spatial filtering and relay imaging,” Appl. Opt. 17(13), 2053–2057 (1978). C. A. Haynam, P. J. Wegner, J. M. Auerbach, M. W. Bowers, S. N. Dixit, G. V. Erbert, G. M. Heestand, M. A. Henesian, M. R. Hermann, K. S. Jancaitis, K. R. Manes, C. D. Marshall, N. C. Mehta, J. Menapace, E. Moses, J. R. Murray, M. C. Nostrand, C. D. Orth, R. Patterson, R. A. Sacks, M. J. Shaw, M. Spaeth, S. B. Sutton, W. H. Williams, C. C. Widmayer, R. K. White, S. T. Yang, and B. M. Van Wonterghem, “National Ignition Facility laser performance status,” Appl. Opt. 46(16), 3276–3303 (2007). X. Julien, A. Adolf, E. Bar, V. Beau, E. Bordenave, T. Chiès, R. Courchinoux, J. M. Di-Nicola, C. Féral, P. Gendeau, H. Graillot, C. Grosset-Grange, O. Henry, V. Higonenq, E. Journot, L. Lacampagne, E. Lafond, L. Le Déroff, A. Martinez, L. Patissou, A. Roques, L. Thauvin, and G. Thiell, “LIL laser performance status,” Proc. SPIE 7916, 791610 (2011). A. Bayramian, P. Armstrong, E. Ault, R. Beach, C. Bibeau, J. Caird, R. Campbell, B. Chai, J. Dawson, C. Ebbers, A. Erlandson, Y. Fei, B. Freitas, R. Kent, Z. Liao, T. Ladran, J. Menapace, B. Molander, S. Payne, N. Peterson, M. Randles, K. Schaffers, S. Sutton, J. Tassano, S. Telford, and E. Utterback, “The Mercury Project: A high average power, gas-cooled laser for inertial fusion energy development,” Fusion Sci. Technol. 52, 383–387 (2007). A. Bayramian, B. Deri, S. Fulkerson, R. Lanning, and S. Telford, “Compact, efficient, low-cost diode power conditioning for laser inertial fusion energy,” Proc. SPIE 7916, 79160B (2011). R. Feeler, J. Junghans, and E. Stephens, “Low-cost diode arrays for the LIFE project,” Proc. SPIE 7916, 791608 (2011). P. Crump, H. Wenzel, G. Erbert, P. Ressel, M. Zorn, F. Bugge, S. Einfeldt, R. Staske, U. Zeimer, A. Pietrzak, and G. Trankle, “Passively cooled TM polarized 808-nm laser bars with 70% power conversion at 80-W and 55-W peak power per 100- µm stripe width,” IEEE Photon. Technol. Lett. 20(16), 1378–1380 (2008). P. Crump, S. Patterson, J. Wang, W. Dong, M. Grimshaw, S. Zhang, S. Elim, M. Bougher, J. Patterson, S. Das, D. Wise, M. DeFranza, J. Bell, J. Farmer, M. DeVito, and R. Martinsen, “Diode laser bars deliver > 400-W peak CW power from 800-nm to 980-nm,” Proc. SPIE 6397, 639706 (2006). M. Kanskar, T. Earles, T. J. Goodnough, E. Stiers, D. Botez, and L. J. Mawst, “73% CW power conversion efficiency at 50W from 970nm diode laser bars,” Electron. Lett. 41(5), 245–247 (2005). P. Crump, J. Wang, S. Patterson, D. Wise, A. Basauri, M. DeFranza, S. Elim, W. Dong, S. Zhang, M. Bougher, J. Patterson, S. Das, M. Grimshaw, J. Farmer, M. DeVito, and R. Martinsen, “Diode laser efficiency increases enable > 400-W peak power from 1-cm bars,” Proc. SPIE 6104, 610409 (2006). Temperature-dependent absorption spectra of Yb:YAG were provided by J. Kawanaka of the Institute of Laser Engineering, Osaka University, Osaka, Japan. J. Dong, M. Bass, Y. Mao, P. Deng, and F. Gan, “Dependence of the Yb3+ emission cross section and lifetime on temperature and concentration in yttrium aluminum garnet,” J. Opt. Soc. Am. B 20(9), 1975–1979 (2003). L. M. Frantz and J. S. Nodvik, “Theory of pulse propagation in a laser amplifier,” J. Appl. Phys. 34(8), 2346–2349 (1963). A. E. Siegman, Lasers (University Science Books, 1986), Chap. 8. R. A. Sacks, M. A. Henesian, S. W. Haney, and J. B. Trenholme, “The PROP92 Fourier beam propagation code,” in ICF Annual Report, UCRL-LR-105821–96 (Lawrence Livermore National Laboratory, Livermore, CA, 1996), pp. 207–213. O. Morice, “Miro: Complete modeling and software for pulse amplification and propagation in high-power laser systems,” Opt. Eng. 42(6), 1530–1541 (2003). W. M. Kays and A. L. London, Compact Heat Exchangers, 3rd ed. (Krieger Publishing, 1998). K. A. Manske, D. T. Reindl, and S. A. Klein, “Evaporative condenser control in industrial refrigeration systems,” Int. J. Refrig. 24, 676–691 (2001). J. L. Emmett, W. F. Krupke, and W. R. Sooy, The Potential of High-Average-Power Solid-State Lasers, UCRL-53571 (Lawrence Livermore National Laboratory, Livermore, CA, 1984). A. C. Erlandson, G. F. Albrecht, and S. E. Stokowski, “Model predicting the temperature dependence of the gain coefficient and the extractable stored energy density in Nd:phosphate glass lasers,” J. Opt. Soc. Am. B 9(2), 214–222 (1992). J. Dong, M. Bass, and C. Walters, “Temperature-dependent stimulated-emission cross section and concentration quenching in Nd3+-doped phosphate glasses,” J. Opt. Soc. Am. B 21(2), 454–457 (2004). D. M. Pennington, D. Milam, and D. Eimerl, “Gain saturation studies in LG-750 and LG-770 amplifier glass,” Proc. SPIE 3047, 630–642 (1997). W. E. Martin, D. Milam, and J. B. Trenholme, Laser Program Annual Report-79, UCRL-50021–79, (Lawrence Livermore National Laboratory, Livermore, CA, 1980), pp. 2.160–2.170. W. E. Martin and D. Milam, “Direct measurement of gain recovery in a saturated Nd-glass amplifier,” Appl. Phys. Lett. 32(12), 816–818 (1978). W. E. Martin and D. Milam, “Gain saturation in Nd:doped laser materials,” IEEE J. Quantum Electron. 18(7), 1155–1163 (1982). D. C. Brown, “The promise of cryogenic solid-state lasers,” IEEE J. Sel. Top. Quantum Electron. 11(3), 587–599 (2005). T. Y. Fan, D. J. Ripin, R. L. Aggarwal, J. R. Ochoa, B. Chann, M. Tilleman, and J. Spitzberg, “Cryogenic Yb3+-doped solid-state lasers,” IEEE J. Sel. Top. Quantum Electron. 13(3), 448–459 (2007). Y. Sato, J. Akiyama, and T. Taira, “Effects of rare-earth doping on thermal conductivity in Y3Al5O12 crystals,” Opt. Mater. 31(5), 720–724 (2009). De La Rubia, T. D.
Fig. 1 Schematic diagram showing the LIFE laser beamline design, which was used for our efficiency evaluations of Nd-doped phosphate glass, Yb-doped YAG, and Yb-doped S-FAP slabs. For Yb:S-FAP, the quarter-wave plate was removed and the rotator was moved to a location near the adaptive optic, to accommodate Yb:S-FAP’s natural birefringence. Fig. 2 Efficiency vs. peak system diode power for beamlines using Nd:APG-1, Yb:YAG and Yb:S-FAP laser slabs. Since output fluence and energy per beamline depends upon the gain medium and operating temperature, the number of beamlines was varied to keep the total output pulse energy at 3w fixed, at 2.2 MJ. See text for details.